Susan Kelly spent her childhood summers foraging for wildflowers. She soaked up lessons from her Aunt Marion as she taught her the names of blooms they found in the forest and how to make the best hummingbird nectar. These warm summer days at the family cottage in Michigan are what sparked Susan’s love for floral design. As a sixteen-year-old, all of Susan’s friends were starting to get their first jobs. She remembers her friends working at fast food restaurants, but even at a young age, she wanted something different. She got a job at a local flower shop, and she soon realized that she had a knack composing and arranging blooms. After years spent working with flowers, when the time came for Susan to choose what to study in college, she decided that a degree in ornamental horticulture is what she most wanted to pursue. Susan has always been someone who thrives on creativity, so after college, she chose to express her creativity through a different medium. A career in fashion kept her busy and satisfied her creative spirit in her early twenties. It wasn’t until her sister asked her to design the flowers for her wedding that she revisited her roots in floral design. Initially, she was hesitant to take on the task since it had been so long since she had even touched flowers, but eventually, she agreed to the project. Her passion for flowers was rediscovered, and after her sister’s wedding, she started getting more requests to create beautiful arrangements. Susan and her sisters decided to start their own floral design business to pursue part-time while Susan continued her career in fashion. Thus, Three Sisters Flowers began. Susan and her sisters made it their mission to create arrangements that were lush, whimsical, and organic. Brides around the country began to notice the value in the unique designs they were offering. After some time, Susan’s sisters’ attention was needed elsewhere, and Susan made the decision to leave her fashion career to attend to Three Sisters full-time. She used this time to travel the country and take on weddings with other florists she admired. Her business took her to unique locations to study what grows in different areas, and to discover her own unique style as she worked with others. “My style is reflective of nature. It’s very loose, organic, natural, and classic,” Susan explained. Working like this gave Susan the ability to meet and team up with other talented florists from across the country and invest in not only meaningful connections but friendships with them. “I started thinking, how can I make this happen for me? It was an idea that kept percolating in my mind until I decided to take the first step,” Susan explained. 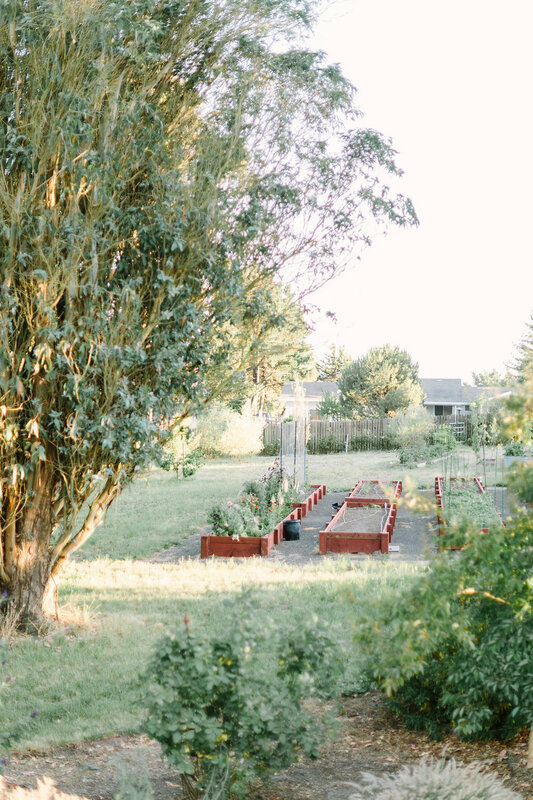 After going home and spending some time thinking about her options, Susan decided to sell her home in Palo Alto to find a place that would allow her to start some farming of her own. She set her sights on Sonoma County, an area not only known for memorable wine country weddings, but also known as the dairy capital of the country. It is filled with rolling hills and dairy farms marked by homes surrounded with natural beauty. She sold her home of twenty years in Palo Alto and teamed up with a realtor and started searching for her new home. Then, she found it. “When I walked onto the property, I knew that it was the one for me,” Susan remembered. It was a quaint farm house nestled among dozens of fruit trees, honeysuckle, and one-hundred David Austin rose bushes. She dedicated herself to creating arrangements that are a reflection of what could be found on her acre of land and what Sonoma county has to offer. Between workshops, books, and her network of local flower farmers, Susan is discovering what she can grow on her property to offer brides a unique local experience. 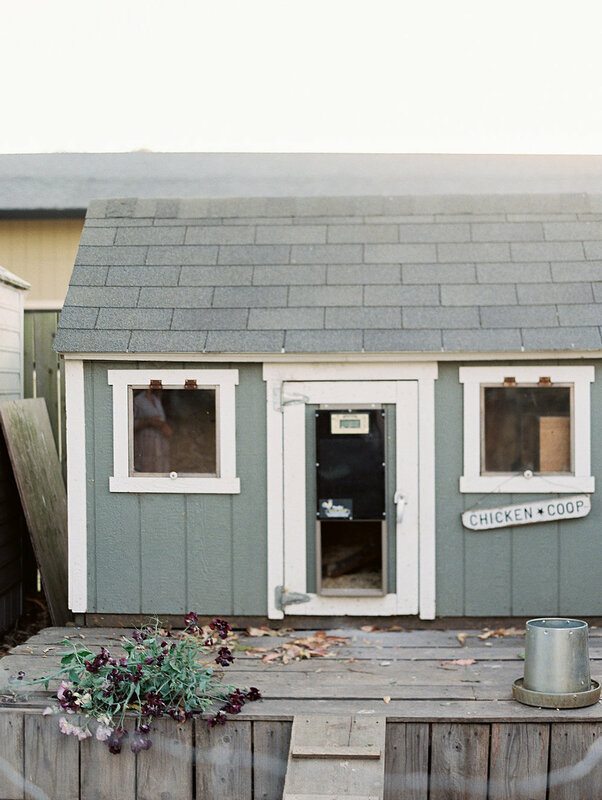 She is now living in a farmhouse with an acre of land among her own chickens, dogs, and ducks, much like the atmosphere she fell in love with during her time in North Carolina. With her relocation and addition of flower farming into her business, she decided that it was the perfect time for a business rebrand. What was Three Sisters became Marion Moss, named for her Aunt Marion who inspired her love for flowers early on. Susan wanted her brand to entirely be an expression of who she is and where she wants to take her business, not only through its name but through its vision. Over the years, her inspiration has come first and foremost from nature. The movement through trees, the blooms in a forest, and the waves of the ocean have all influenced her arrangements. However, nature is not her sole inspiration. Susan has taken trips to Europe to experience art that has had significant bearing on her classic and organic style. She has visited Amsterdam to study an entire culture founded on flower farming and Paris to peruse museums filled with unique art. She has taken inspiration from her travels back to California and hopes to infuse them into designs that also capture the beauty of wine country. Susan encourages anyone who may be interested in the flower industry to reach out to “flower rockstars” who are succeeding in the business. This often opens the door to valuable advice and the chance to work with florists who have a unique way of doing things. This helps new florists to grow their networks of industry friends and find their own style. She also recommends attending workshops to learn a new skill, reading, and connecting with local networks of florists and flower farmers. As Susan continues her constant education in flower farming and design, she will continue to bring classic and organic designs to brides who want to experience the beauty grown in Sonoma County.